The decision by the Attorney General, Herman P. Retzlaff, to hire independent prosecutors to defend the Police Commissioner and the Director of the National Prosecutions Office, against charges being made against them in court has somehow rekindled seemingly undying, sad memories we thought would never show up again. 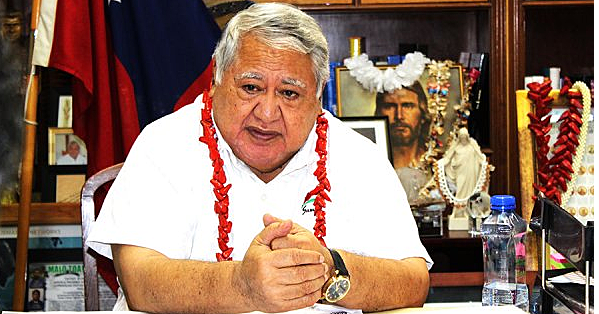 In an announcement published in yesterday’s Samoa Observer, Mr Rezlaff said the officers in question, who have since been suspended from office, were indeed entitled to certain forms of assistance that are supposed to be prescribed by law. Well like it or not, to gullible us that is, we are not sure what this is all about. Well, we said just now that this little fracas has rekindled sad memories we thought would never show up again, in connection with court trials where certain public officials had sued this newspaper for defamation and even criminal libel, so shall we talk a bit about one of them? It is 9.30 Saturday morning. We are in court. The trial has resumed and old Jacobs Q.C. has started his cross-examination. He goes straight to the Hansard. “Overnight you have had an opportunity to look at Hansard, haven’t you?” he asks. Mr Jacobs is now indicating he wants evidence to show that “the PM is lying with regards to the PC (Police Card) saga,” and yet none could be found in the copies of the Hansard I had gone through the night before. Mr Jacobs’ response is instant. “With one of the largest majorities ever given to any political party in this country? “May I give one to his Honour?” Mr Jacobs says. “This has really got nothing whatever to do with the PC saga, has it? Now addressing the defendant, Mr Jacobs is saying: “On the assumption that his Honour will accept the evidence of Semi Lesa, you don’t allege that was a cover up, where the Police were asked immediately the issue was raised to investigate the report, or do you think that was a cover up? “Would it be correct to say so far as you are concerned, he is an honorable police officer, as far as you are concerned? “And I take it from your knowledge of Hansard that the Prime Minister voted in favour of the resolution that the Police be instructed to bring forward any documents that, if produced, could blacken his name? I reply: “Your Honour, the facts were there. The Prime Minister had a police file recording his convictions. Parliament requested the surrender of the file.